Coral Harbour Base, (RBDF): Ongoing recovery efforts by Royal Bahamas Defence Force (RBDF), the Royal Bahamas Police Force and volunteer divers, and Bahamas Air Sea Rescue Association and a glass bottom boat continue to yield findings of debris eleven days after a light aircraft piloted by Captain Byron Ferguson crashed off the northwest coast of New Providence on Thursday 8th November, 2018. Altogether, a total of eleven days, five key agencies (The Bahamas Air Accident Investigation Department, the Royal Bahamas Defence and Police Forces, Bahamas Air Sea Search and Rescue Association, and the United States Coast Guard), along with boats, aircraft, a drone, divers and shoreline patrols have been involved in search and rescue, as well as recovery efforts for the pilot and aircraft. An RBDF patrol craft had found the tail end of the aircraft (vertical stabilizer) on the night of the incident minutes before it sank in waters ranging in depths from 60 to 1500 feet. Since then, RBDF divers found the first debris field on Tuesday 13 November, not far from where the tail end was seen. A second debris field was found by a voluntary group of divers on Thursday 15 November,; all in 80 feet of water. 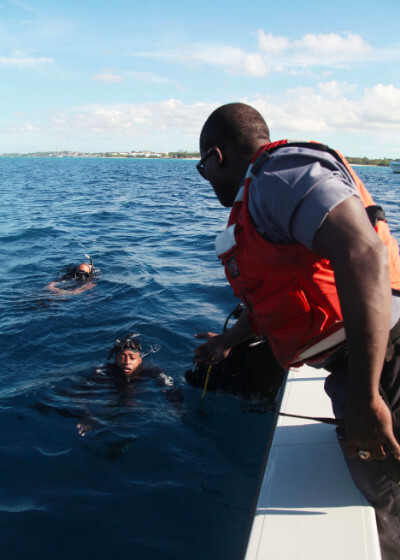 On Friday 15 November, RBDF divers found debris in 216 feet of water. 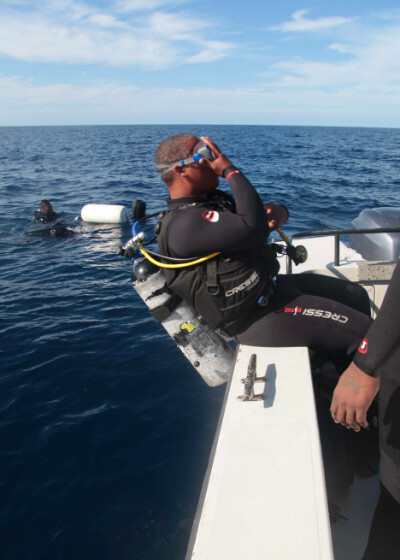 On Monday, twenty-two RBDF divers and two divers from the RBPF were in the area. Also providing significant support for the dive operation was the glass-bottom boat, Lil Nassau, as well as a two-man dive team consisting of a deep sea diver aboard a 45-foot recreational craft, and a BASRA vessel. RBDF divers provided dive support for the volunteer diver, who reached a depth of 404 feet. The dive was carried out near the area where the debris fields were previously discovered. The deep sea diver discovered more debris cascading down the face of the continental shelf, and shared with the support teams that the aircraft would have descended into much deeper waters. The entire evolution took approximately two hours for the diver to reach 404 feet and to safely ascend. To date, approximately 280 hours have past since the RBDF commenced its daily search operations, more than 200 square miles have been covered in search of survivors, and five platforms used. In view of results of this latest dive, inter-agency partners will meet tomorrow to determine the best course of action in regard to current search efforts.